This week, we are pleased to feature Books@Work professor Katherine Clark, as she reflects on her experience teaching one book in three different seminars. 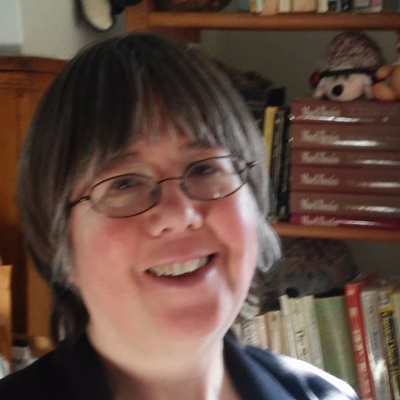 Katherine teaches English composition at Notre Dame College. She is currently working on a monograph titled “What is a Cozy,” which explores the mystery genre. I’ve been leading seminars at Books@Work for a couple of years now, and the book I always find myself using is Learning to Swim by Sara J. Henry. It is a great book, a rich book, and I’m teaching it for the third time. Depending upon who is reading it, the book prompts discussions about intimacy, friendship, trust and compassion – and each time I share it with a different group, I see it anew. In fact, teaching this book three times has been enlightening, as it gives me a fascinating glimpse at how our own experiences frame the way we read and interpret a story. As a result, I’ve been privy to remarkably different conversations each time. Learning to Swim is fundamentally about change – about transformation and learning from circumstances. This is in part because it’s a mystery novel. In this genre, secrets, often long-held ones, are revealed. People at the center of the mystery begin to question what they knew of the victim and what they themselves are capable of, and this questioning ultimately leads to shifts in identity and circumstance. This emphasis on transformation, on secrets and questioning, makes rich food for discussion. 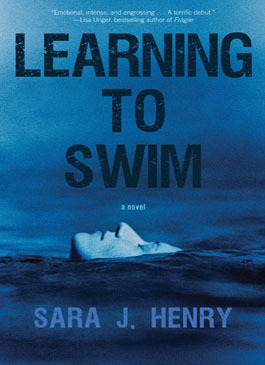 Learning to Swim has a complex protagonist, too: Troy rescues a drowning child and finds her life changing immediately thereafter. In another session, we spoke about parenting: what makes a good parent, what makes a bad parent, and what makes a horrible parent. Talking about family prompted one woman to tell us about her and her husband’s struggle over whether or not to have children. I was touched that she shared her story, as were the other participants in the room. Later, with another group, the participants and I broached different ethical dilemmas. In an amateur sleuth mystery like Learning to Swim, the protagonist has to make difficult choices, often because she isn’t in law enforcement or associated with legal industry. She often doesn’t know what she is “supposed” to do. Solving the crime becomes a matter of common sense and compassion. In Learning to Swim, Troy has to make several critical decisions quickly and with limited faculties, because she has been through traumatic events herself. This creates fertile ground for readers to ponder what they would have done in Troy’s shoes. The group was evenly split over one such choice, debating whether or not her actions were, in fact, legal. A law expert chimed in on the debate in the following session, while the rest of us sat at the edge of our seats wondering if the final nail would be put into the protagonist’s ethical coffin. The expert pronounced, “What she did was legally wrong. Charges could be brought against her.” He then continued, “but if I were Troy. . .” no one spoke. No one even breathed, waiting to hear the final pronouncement: “I would have done the same thing.” The participants responded with excitement—his response was the last thing they had expected. We find out about ourselves and others when we read and when we share. I love learning why people identify with a character or don’t. I love hearing about ethical dilemmas and how others would resolve them. It is especially interesting to me when something I think is obvious isn’t to others, and vice-versa. We can’t help having some blinders on when we read, the blinders that come from gender, race, class, geographical region, education—in short, from our identities. Sharing with others is interesting because it at least momentarily allows us a glimpse into another’s thoughts and emotional processes. We learn more about our coworkers and friends, and hopefully, if we are having an interesting enough discussion about disparate issues, we learn that difference is as much fun and as intriguing as sharing the same values and ideas. Dr. Katherine Clark teaches English composition at Notre Dame College. She is currently working on a book called “What Is a Cozy?” which explores mysteries—her favorite genre of fiction. Dr. Clark blogs at mysteryphd.com, where she offers tips on writing and shares information about the mystery field. Talking about books and sharing recommendations for new authors and works is one of Dr. Clark‘s passions and a key reason why she loves Books@Work.